2016 was the year of the Virtual reality headset, we are seeing the first versions of a technology that can, and possibly will, change our lives, much like the smart phone has. VR has the potential to improve our Games, TV programmes and Movies and allow us to experience things and places better. This article is about how your in-flight might be improved by a VR headsets. No one likes flying during the holidays. Between having to leave two hours ahead of time and getting through security, just getting to your flight feels like a trip in itself. And then you get on the plane and have nothing to do for three hours except watch reruns ofÂ FriendsÂ on the little TV in front of you. Thatâs probably about to change, thanks to VR. For a little while, of course, passengers can plug into their own Samsung Gear VR sets and tune out, but airlines might be offeringÂ their own complimentary varietyÂ so you can forget youâre stuck on an airplane. A French start-up,Â SkyLights, is developing the tech. Itâs a headset with a six-hour battery life, and it comes with noise-cancelling headphones. The headset looks pretty sleek and simple, because theyâre made to be: Thereâs none of the neater interactions you get with an Oculus or Samsung headset. It really is just a movie beamed right into your face. Youâll be able to watch the newest 2D and 3D movies, and the set comes with 128 GB of storage â about 40 movies. Weighing only slightly more than half a pound, itâs easy to visualize the headset propped on the back of the seat in front of you, and after paying the fee, you can flip it on and enjoy hi-def movies right in front of your face. 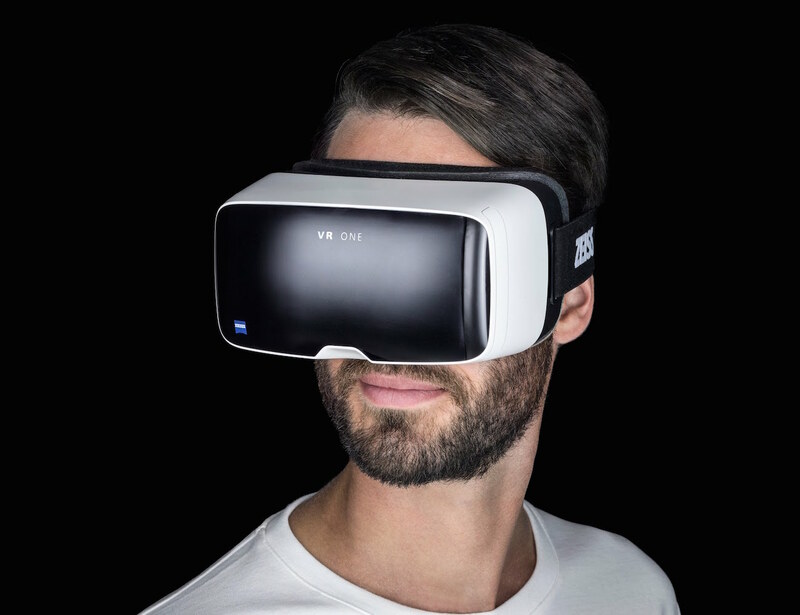 The headsets are being tested in France right now: XL Airways became the first headset to offer a commercial version of the headset to passengers last week, for $16 per flight. SkyLights has also partnered with AirFrance and Airbus. Content-wise, there are partnerships in the works with 20th Century Fox and Dreamworks. The general lack of viable in-flight entertainment has been plaguing the airline industry for a while; broadband Internet is an extra cost (roughly $10 per flight, depending on your airline), and the movies and TV they show are typically outdated. It wasnât until recently that airlines began attempting to match the broadband speed youâd find on the ground. (As of last year, youâd getÂ speeds of around 3.1Mbps, as opposed to the roughly 30Mbps that smartphones on the ground are capable of). Since so many people use their own devices for entertainment, airlines are in desperate need of upping their Wi-Fi speed. But they also need ways to entertain their customers in an inexpensive manner, without the heavy screens and cables that come with TVs. Virtual-reality headsets â light, not-too-costly, and wireless â could offer a way for airlines to draw their customer base back in. But there are challenges: VR headsets are a relatively new and untested technology. âAirlines are difficult players to deal with because they are risk-averse and slow to innovate,â David Dicko, SkyLightâs CEO, told theÂ Times. One potential problem for in-flight VR in your face is the nausea it causes. VR (even if itâs just a film) can be very disorienting, and itâs not hard to imagine people getting sick from it on a moving plane.Â Oculusâ health and safety documentationÂ is a laundry list of potential concerns, from warnings of dizziness and nausea to seizures and sweating. Another potential issue could be that hundreds of folks tuned out to a VR movie with noise-cancelling headphones have, at the least, limited awareness of the outside world. That means slowness to react in plane emergencies â another potential lawsuit on an airlineâs hands. For now, weâre skeptical that VR headsets will take off as in-flight entertainment in the U.S. anytime soon. Early adopters might be eager to try them â but they also have their own headsets that they can use for free. Customers would have to pay over the price of a movie ticket, the technology is unstudied when it comes to usersâ health, and everyone has their own phone or tablet to entertain themselves. We love the idea, but, as Dicko noted, the airlines are a pretty risk-averse industry. They should prioritize Wi-Fi bandwidth first (and make it at least cheaper), which is what the majority of customers undoubtedly want. Anyway, itâs hard to imagine a moreÂ Black Mirrorâesque image than a hundred people, arranged into rows, their heads leaning back, eyes hidden behind a headset, plugged in to a world that isnât there.